The count down begins….Ten. Nine. Eight. Seven. Six. Five. Four. Three. Two. One. The ball drops and everyone cheers! New Year’s Eve is one of the most festive and celebrated holidays of the year. Consequently, it is also one of the most dangerous holidays. It’s estimated that during the Christmas and New Year’s season 42% of traffic accidents are typically a result of drinking and driving. People are more inclined to drink and drive on Jan. 1 than during any other major holiday of the year. 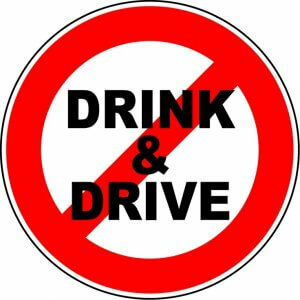 Nearly half of all car accidents on New Year’s Eve and New Year’s Day are due to drinking and driving. A common sense approach to planning your festivities goes a long way to ensuring a safe holiday celebration. Before heading out on the town, designate a driver who will not drink. Rather than drive, plan to spend the night at a friend or family member’s home. Call a friend or family member for a ride rather than get behind the wheel and cause an accident. Uber, Lyft or a taxi service is a safe solution for traveling while intoxicated. Take the keys. Never allow someone who has been drinking to get in the driver’s seat of a vehicle. Party-goers who have even one drink of alcohol should not get behind the wheel of a vehicle. You should never ride with anyone who has had even one or two drinks. Call the police if you see an impaired driver out on the road. Do not serve minors alcohol. Go out in groups so you can look out for your friends and family. 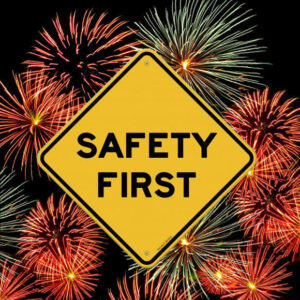 Going out with friends and celebrating the start of a new year is an annual tradition that can be managed safely with a little effort. Alternatively, staying home and popping fireworks in the back yard is another popular tradition. While staying home and keeping yourself off the road will keep you safe from people driving while intoxicated, it does not eliminate all potential risks. The safest way to enjoy fireworks display is to attend a public fireworks show put on by professionals. Setting off fireworks at home can be dangerous. A homeowner may be held criminally and civilly liable for any damages caused by safe or unsafe fireworks. Furthermore, popping fireworks is illegal in certain areas throughout Louisiana. Make sure you educate yourself on local laws before setting off fireworks at home. Never give fireworks to small children and some adults who make questionable decisions. Keep a hose or fire extinguisher nearby as a precaution. Never light fireworks while holding them in your hand. Never throw or point fireworks towards people or animals. Keep your pets inside the house, away from fireworks and loud noises. Check your fence, gate and pet area to ensure they can’t escape. Make sure pets are wearing a collar and identification. If you are injured in an accident on New Year’s Eve, you may need an attorney. A drunk driving accident can result in serious injury or death. Another driver’s negligence may be causing you medical expenses, pain and suffering, lost wages, loss of earning potential. Contact the Law Offices of L. Clayton Burgess to schedule a free consultation with our team.